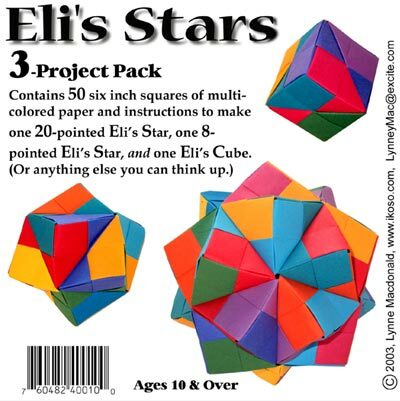 Contains 50 sheets of multicolored paper and instructions for one 20-pointed Eli’s Star, one 8-pointed Eli’s Star and one Eli’s Cube. The 20-pointed Star is approximately 6” in diameter. 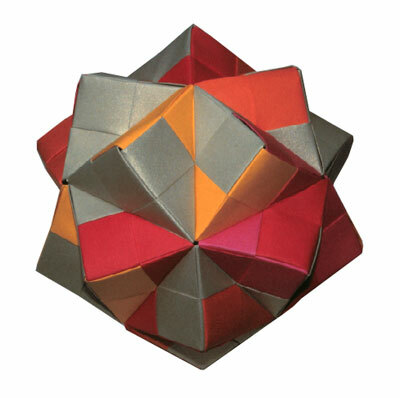 The 8-pointed Star is about 4” in diameter and the Cube is approximately 2” square. Easy to moderate difficulty level. Kids may need a little help. For everyone 12 and over.